I have been approached by several people about wanting to organize a BBQ Cook Off. When I get asked this question I get the chills and start developing migraines. Not really, what I will tell you that this is not an easy thing to do and you will need help and lots of it. The first thing you need to find is a location where you would like to have the event. This can be in a City Park or in a pasture somewhere. Electricity and water for campers is always nice but not a necessity. Make sure and give yourself at least 6 months for preparation. 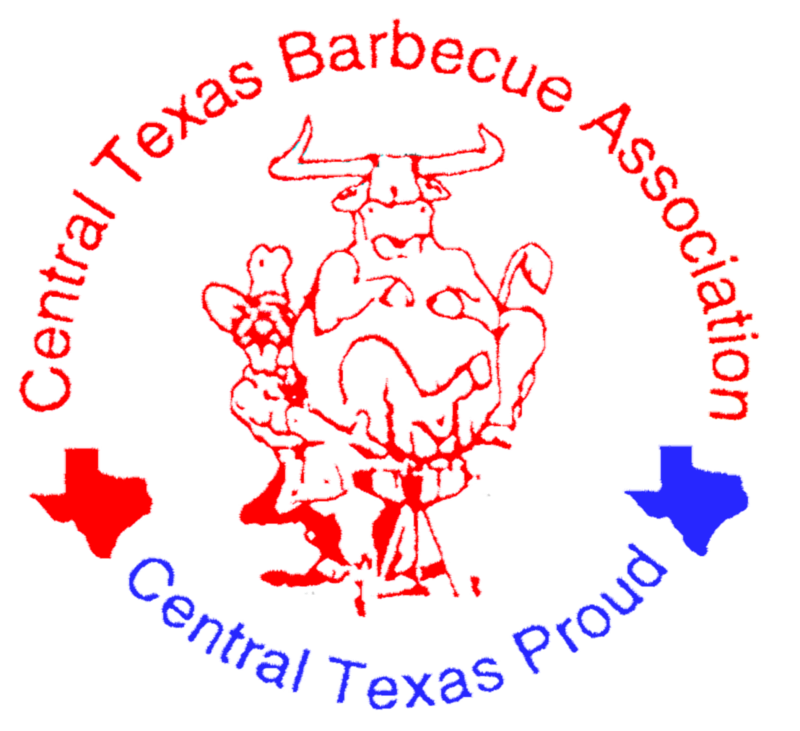 You also need to check with CTBA to make sure that the date you are choosing will not interfere with any other Annual established cook offs in the area. During this time you can start getting sponsors which will be explained later. If you have a location you might also consider allowing cookers to bring pits and trailers on the Thursday before the event. Cookers like to arrive early and some will even stay overnight Saturday. But the vast majority of the cookers will depart Saturday after the awards ceremony. Advertisement is one of the most important things you need to do. This can be done using the Newspaper and Radio. Sponsors are important. Look for large corporations to help offset the cost for running your event. I like to approach car dealerships etc. Have a goal for the amount of money you want to raise. For example when I ran cook offs I always tried to guarantee $3000.00 prize money. I asked sponsors for this money. Once you can obtain your prize money goal, all of your entry fees will be your profit as well as and food vending you might want to do. Guaranteed money is nice but not a necessity. You can also pay a percentage of your entry fees. For example you can advertise 80% pay back to cookers. Below is just a sample of a breakdown for $3,000.00 Guaranteed Prize Money. Have an adequate judging area whether it be large tents or an inside building. Always prepare for rain because it Texas it can rain and snow all in the same day. You will need tables and chairs. Table monitors- CTBA will provide you with a head judge you are responsible for table monitors and judges for your event. I cannot stress this enough; if you have no judges or table monitors to help the head judge our organization will withdraw from your event and leave. The reason we are so strict about this request is because cooking teams spend hundreds of dollars traveling to and from events. The entry fees are not cheap and the cooking teams are competing for points. Competition Cooking is very serious business in Texas. Yes we all like to have fun and cook. But let’s face it cookers want fair and consistent judging. That is where we as the organization step in. You should try and have at least 5 table monitors. A good example for the amount of judges that I used was 40 Judges for 50 teams. Anything over 50 teams please contact one of the officers with CTBA we will be happy to give you suggestions. What you don’t want to happen is to not have enough judges. What is the actual cost for sanctioning an event with CTBA? To sanction a cook off with 10 or less participating teams, CTBA charges a minimum of 50 dollars. For cook offs with greater than 10 teams, the fee is $5.00 per participating team. This is for the 3 meat trays and a bean cup with lid per team. Additional categories will be .50 per team. In addition the promoter shall provide lodging and /or gas to cover CTBA representative’s expenses which includes $5.00 per team fee for the head judge. If your cook off is over 100 miles from Temple Texas the promoter is responsible for 2 nights' accommodation for the head judge. This is usually Friday and Saturday night. Please pay your sanctioning fees and head judge fees before your event concludes. You as the promoter are also required to provide Grapes and Water as palate cleansers. If you have no public bathrooms make sure you have ordered porta johns for your event. If you want entertainment such as a band make sure and book early and check to see if you have the electricity for the band. In past events the band always plays on Friday night. Saturday is the actual judging day for bbq. Make sure that you have flyers made and make sure to send the flyer to our organization so that we can get your event posted on our website. This should be one of the first things you do. Remember additional categories $0.50 cents per team. Overnight accommodations and or gas depending on the location of your event. Cook Offs located more than 100 miles from Temple Texas require 2 nights’ accommodations. Mileage is paid at $0.50 cents per mile. The sanctioning fees cover our cost for providing all the judging trays and or cups. One way we have found to help recover some of the cost is by charging each team $5.00 or $10.00 more for entry fee. Cook offs that were charging $100.00 entry fee were raised to $105.00 or $110.00. Promoter is responsible for providing grapes and water as palate cleansers. Grapes are used after each sample is tasted. Please also note: There is absolutely no Alcoholic Beverages allowed to be consumed while judging any product. Your entry fees are up to you. However most cook off entry fees are between $80.00 and $140.00. You want to keep your event affordable but at the same time you don’t want to take a loss. Remember sanctions are for the 3 meat categories; Brisket, Chicken and Ribs. Everything else is considered jackpot items. Chicken is any type but NO CORNSIH GAME HEN. Pork Ribs Slab only (spare, baby Back, St. Louis Style) If you have a rib shoot out that is fine but understand we will judge one entry of ribs for CTBA Points. And if your cook off has a rib shoot out please get with the head judge for your event well in advance so that instructions can be given. Also jackpot items are to be paid back to the cookers. However it is ok to keep a percentage of the profits from the jack pot items as long as you indicate that in your flyer and how much... For example Jackpot pay back 80%. And always if you have any questions please contact the President of our Organization or any of the officers listed on our webpage. Thank you and good luck!